O Almighty God, by whose grace and power your holy martyr Thomas triumphed over suffering and was faithful even unto death: Grant us, who now remember him with thanksgiving, to be so faithful in our witness to you in this world, that we may receive with him the crown of life; through Jesus Christ our Lord, who lives and reigns with you and the Holy Spirit, one God, for ever and ever. Amen. Thomas Becket was a Norman commoner whose fortune it was to come under noblemen, be educated, and recognized and appreciated by the Archbishop of Canterbury who ordained him a deacon and eventually appointed him Archdeacon. The Archbishop then recommended Becket to young King Henry II to serve as the Chancellor of England. He became a constant companion to the King and rode with him to war in France to recover Norman cities. He served as Henry's executive officer in 1159 in the campaign at Toulouse. A Frenchman name Garnier claimed that he witnessed Becket engage in jousting and unhorse many French knights. His valor was such that men said "he put off the archdeacon". Henry appointed him as successor to the Archbishop, had him ordained priest in on Saturday, and consecrated Archbishop on Sunday, 3 June 1162. Almost immediately problems arose. Becket took his position of Archbishop most stridently, and eventually surrendered the Chancellorship. Things went from bad to worse as Henry sought to exert control over the Church and Thomas defended the ancient rights to discipline the clergy and excommunicated offenders. Eventually, Thomas was charged with theft from the Royal Treasury during his service as Chancellor. He fled to France and received protection from King Louis. He appeared before the Bishop of Rome, primate of all the West, and offered to surrender his bishopric, which was denied. He took refuge in France in a monastery. King Henry, fearful of himself being excommunicated, came to terms with Becket and gave him safe passage to Canterbury. His return to office there was brief. 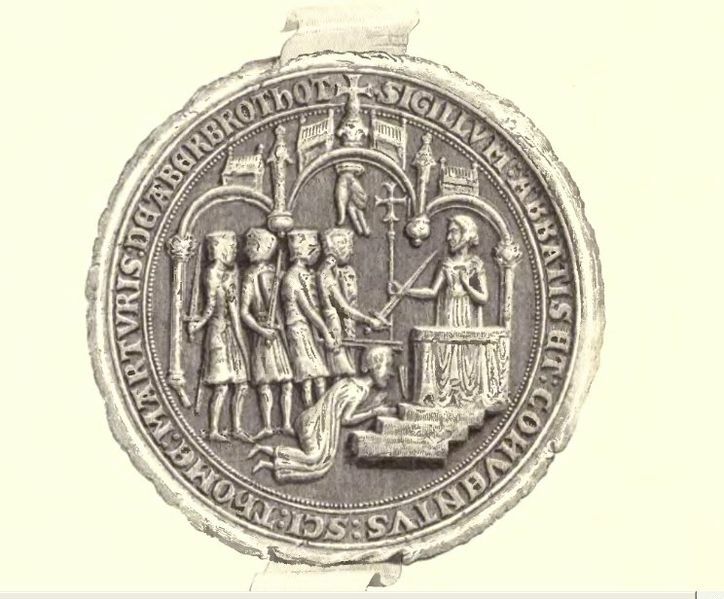 In 1170, on 29 December, barons of Henry executed him. Two years later he was named saint, and his tomb became a very popular pilgrimage (of Canterbury Tales fame).